The goal of the Scot-Domains is to provide an online identity for the Scottish culture, people, businesses and organizations in Scotland and around the world. -and in good faith at the time of registration and thereafter. Who belong's to the worldwide Scottish Community? You must not necessarily live in Soctland, in order to belong to the Scottish Community. -as organisations and their memberships whose stated remit is to celebrate or further the heritage, arts, music, languages, sports and culture of Scotland. Applications of Scot-Domains in non-English languages are welcome, specifically in Gaelic, Shetlandic and Orcadian which often require the use of non ASCII characters, as well as in the other Scottish languages of Doric and Scots. 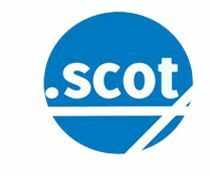 The General Availability of Scot-Domains has started on 23. September 2014. You have to pay 50 GBP per Scot-Domain and year. By clicking at the button, you confirm a free, but binding pre-registration of (a) New Top Level Domain (s), which will cost at succesful registration 50 GBP /domain and year and that you have read and accepted Trade Conditions, Registrants Rights and Responsibilities, the Uniform Domain Name Dispute Resolution Policy and the policies of the registry.